This is a comprehensive inspection course which after completion will allow those responsible for the inspection of fall protection equipment to make educated decisions on the suitability for use. The training will also include Standards and regulations, incorporating what they require and how they relate to the inspection process. 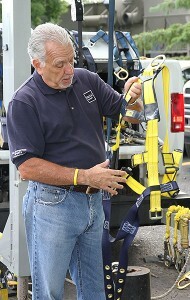 Who Should Attend: Employees who will be assigned a task to work at heights, issued fall protection equipment and required to inspect their equipment.